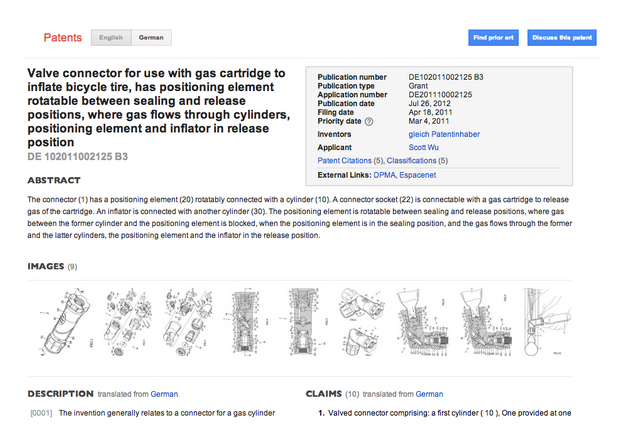 Last year, we launched two improvements to Google Patents: the Prior Art Finder and European Patent Office patents. Today we’re happy to announce the addition of documents from four new patent agencies: China, Germany, Canada, and the World Intellectual Property Organization (WIPO). Many of these documents may provide prior art for future patent applications, and we hope their increased discoverability will improve the quality of patents in the U.S. and worldwide.